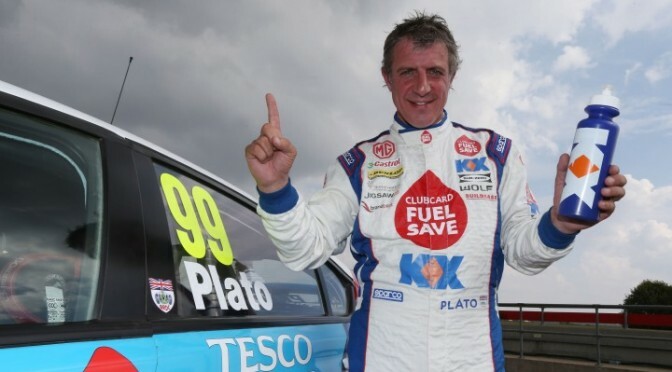 Jason Plato has scored his second Dunlop MSA British Touring Car Championship win of the day at Snetterton after getting the better of Colin Turkington in a race-long battle. 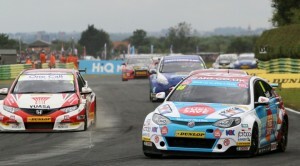 The eBay Motors BMW of Turkington soared into the lead as the 31 flame-spitting tin tops approached Riches for the first time as Plato tucked his MG6 in behind the championship leader. The race was neutralised shortly after as Alain Menuâ€™s VW was fired off into the barrier at the exit of turn one, bringing out the safety car. Fabrizio Giovanardi and Andrew Jordan has already continued with their respective progress towards the front by that point, both finding themselves inside the top ten at the restart. 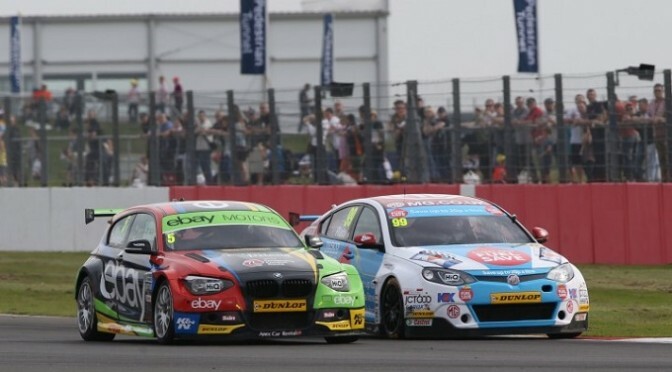 Such delight was short lived for reigning supremo Jordan, however, as he sized up a battle between the BMW of Rob Collard and VW of Jack Goff ahead of him. The duo had already touched earlier in the lap and when two became three on the run through Brundle, something had to give. 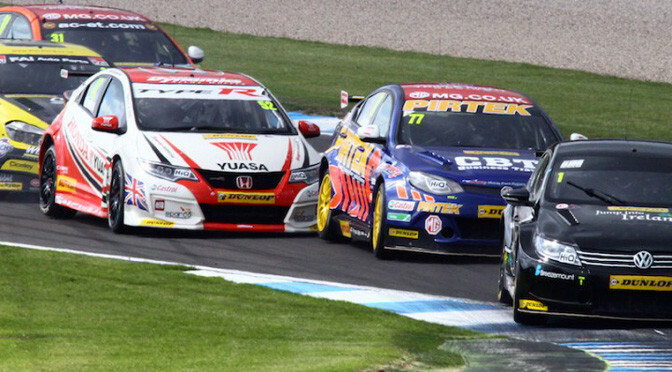 Unfortunately for Jordan it was his car on the outside of the turn that was forced off the track and into a spin. 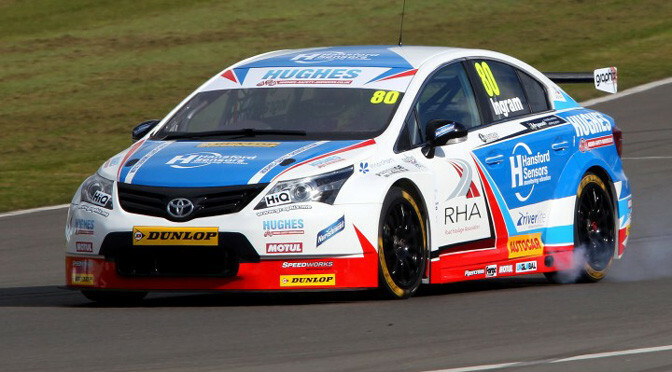 He later recovered to finish 15th but has since been ruled out of race three by the BTCC medical team (see separate story). 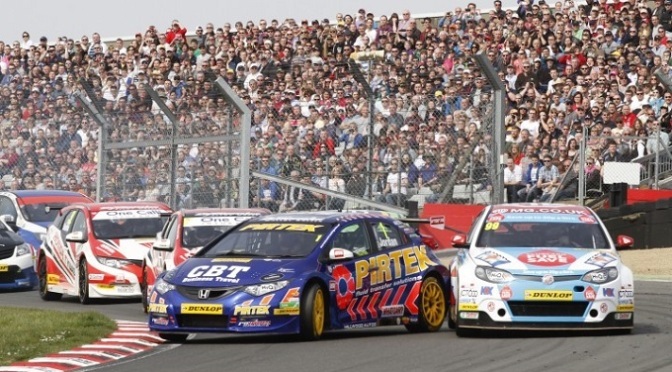 Further incident followed down the order as Jack Clarkeâ€™s Ford Focus jinked left to miss Martin Depperâ€™s Pirtek Honda scything down his inside, but in doing so Clarke made contact with Warren Scottâ€™s VW. 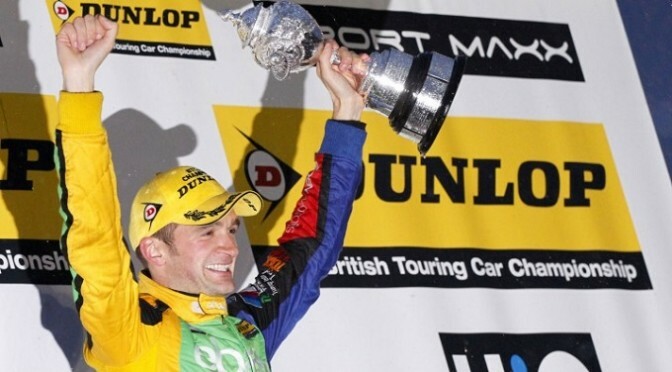 Rob Hollandâ€™s Audi also went off in a separate incident. 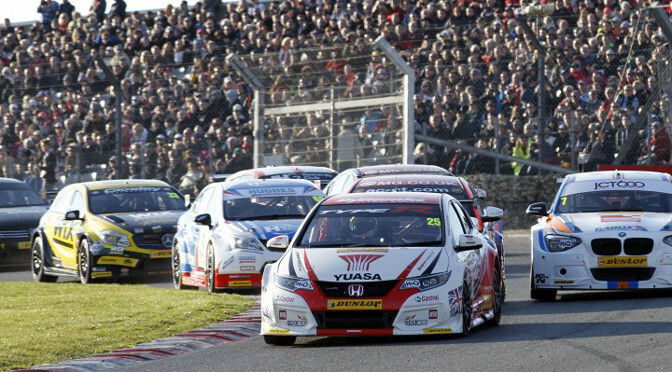 Meanwhile up front and Shedden had made his way by Adam Morganâ€™s Mercedes before all three podium positions changed on the same lap. Plato slipped down the inside of Turkington at Montreal and Shedden was seemingly let through by his ballast laden team-mate Matt Neal at the same corner. 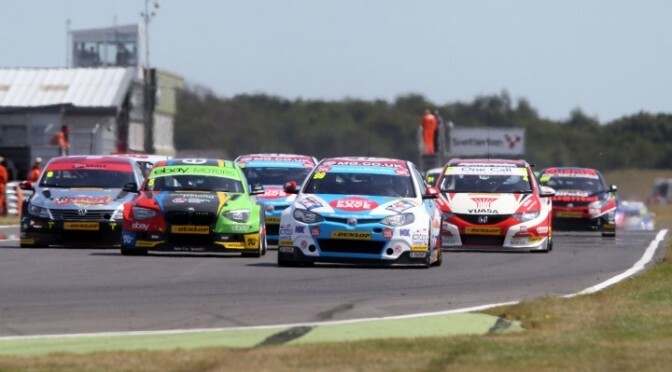 Turkington kept Plato honest throughout â€“ often less than half a second behind the MG â€“ but the king of Snetterton held on to complete his double.